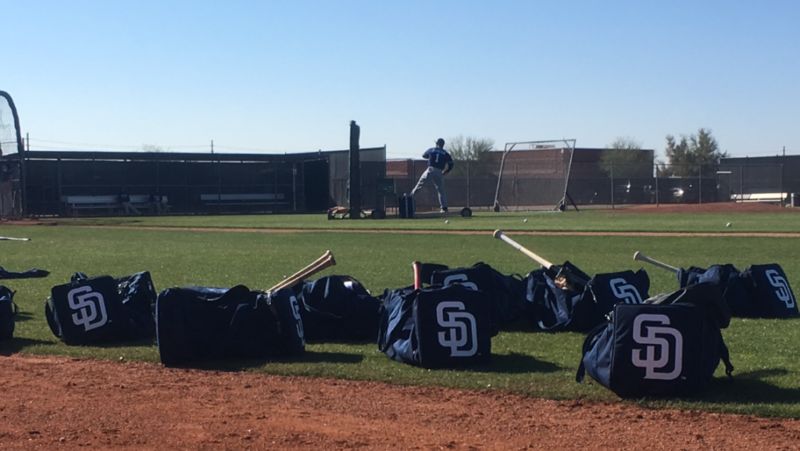 The San Diego Padres had two teams participating in the AZL League this season. 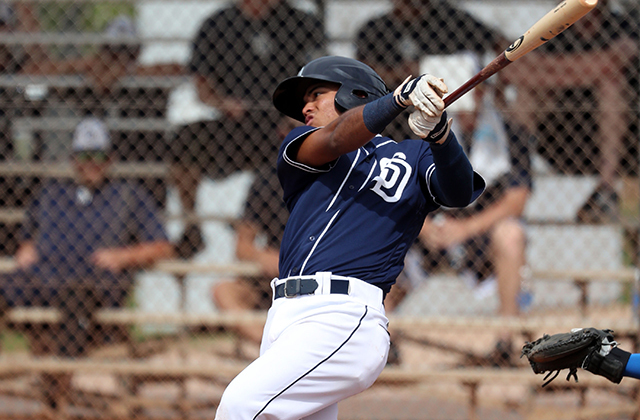 The AZL Padres 1 and AZL Padres 2 team were made up of recent draft picks, international signings and players who have graduated from the DSL (Dominican Summer League) to play in the desert of Phoenix Arizona. 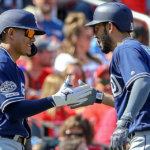 The fact the Padres have two teams made up of young prospects speaks volumes towards their recent philosophy of acquiring as much young talent as possible. Both teams failed to make the playoffs, but they both did have successful seasons as they hovered around .500 for most of the year. Here is a brief recap of the season for both squads. Manager Vinny Lopez was in charge of many young prospects on this team. The roster consisted of such notable players as Luis Almanzar, Martin Carrasco, Xavier Edwards, Ruddy Giron, Reinaldo Ilarraza, Frank Lopez and Omar Cruz. Some only spent a few weeks with the team before being promoted to Tri-City. Playing in this environment is an excellent opportunity for these young men, as they face very stiff competition from players their own age. Finishing 17-11 in the second half was good enough for second place, but the team fell 2.5 games short of making the playoffs. The AZL Dodgers team won the second half standings by winning seven straight games to close the season. Manager Aaron Levin had a youthful squad as well with this group. 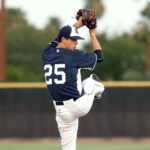 This roster consisted of players like Tucupita Marcano, Alison Quintero, Mason House, Jonny Homza, Jordy Barley, Ryan Weathers and Joey Cantillo among others. Though this team is technically a different group than the AZL 1 team, they both share facilities and some players play for both teams. This AZL 2 Padres team was actually 15-13 during the first half of the season and finished only three games out of first. They got on a bad streak during the second half as the team struggled with consistency and finished 2-8 in their last 10 games. He returned from Tommy John surgery and was successful. 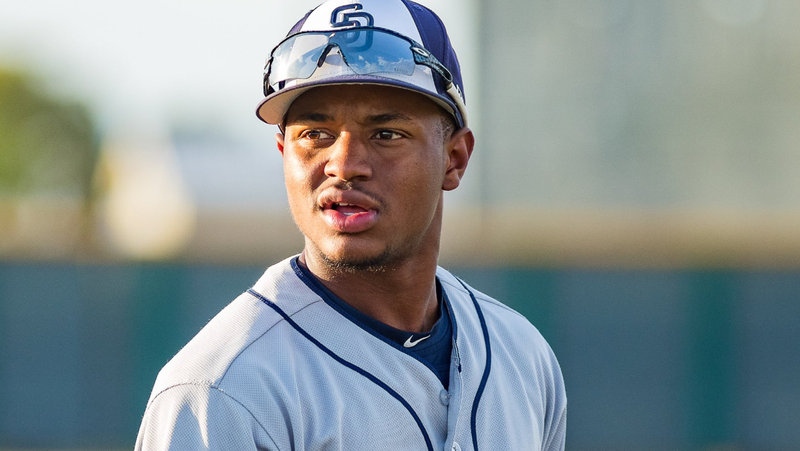 Cosme was obtained from the Orioles for Odrisamer Despaigne a few years ago and could be a decent prospect again in the future. The 22-year-old Puerto Rican has a decent fastball and good feel on the mound. 21 left-handed pitcher, Quijada, is a name to remember. He was a 17th round pick in 2018 and is performing well so far in his professional career. The UC Riverside product has decent size (6-foot-2) and could be a sleeper prospect for the team down the road. 24-year-old Erb looks to have finally found his groove. He was a 20th round pick in 2016 and it took him some time to adjust to professional pitching. He has great size (6-foot-8) and is a hard thrower. Mechanics are the key for the right handed pitcher. 18-year-old Contreras was signed in July of 2017 and has pitched well for the Padres. 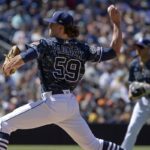 The right handed pitcher has shown the ability to adjust on the mound as he attacks hitters with a decent assortment of pitches. This left-handed pitcher had a great year in Arizona and also in the desert of Washington. He was stellar in Tri-City and looks to probably start the 2019 season in Fort Wayne. The Mexican pitcher is very advanced for his age. 21-year-old Minjarez had a solid year in Arizona as he is showing better control on the mound. 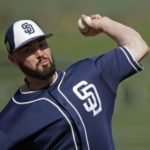 The Riverside native could be someone to keep an eye on as the Padres look for relievers down the road. He has shown the ability to strike out hitters, but needs to gain confidence. 23-year-old, Ohio native Tom Colletti had a great year in Arizona as he was nearly unhittable. He made it to Lake Elsinore in a late season callup and could start there as he has shown better feel for his stuff in recent months. He can run. He can play defense. This young man is exciting to watch. Edwards played well in Tri-City and should start the 2019 season in Fort Wayne. 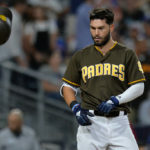 The switch hitter is a pretty solid defender at short and gives the Padres yet another option down the road at a position that has been an issue for a long time. Virtually coming out of nowhere (but I have been warning you of his skill for the past 12 months) is this young man from Venezuela. He just squares up baseballs each time he plays. He is very raw and hasn’t shown much power, but he will get bigger and stronger in time. 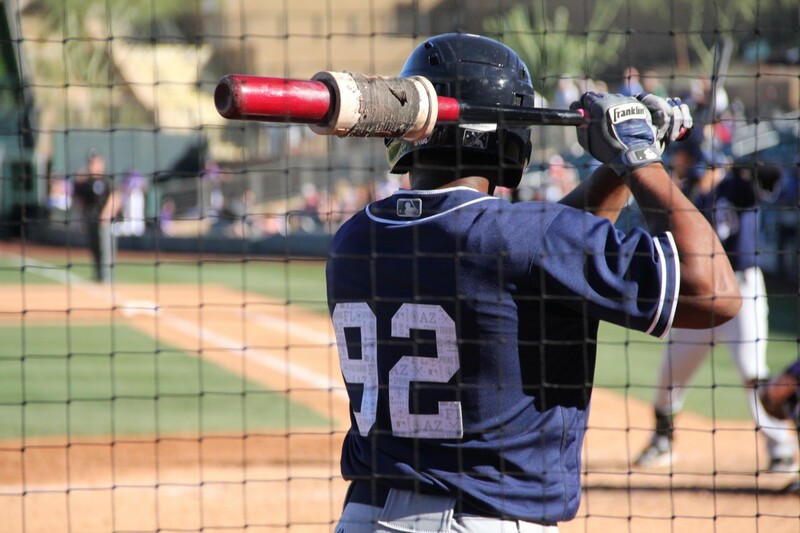 Marcano is a decent prospect who shows a hunger to get better. 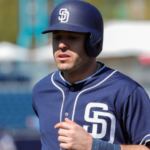 This little second baseman has shown a lot since being drafted out of Lipscomb University in 2018 with a 25th round pick. He has shown power and an ability to drive in runs. 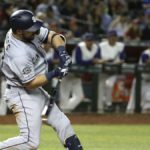 The right handed hitter is someone to keep an eye on as he has sleeper written all over him. He was selected in the 12th round this June and has looked very comfortable in his professional debut. The 18-year-old hasn’t looked over matched as he gets his feet wet against pitchers that are older than him. This Mexican left-handed hitter has a very nice swing. He is only 18 and will surely be talked about in the coming years. There isn’t much power from him presently, but has the size in his frame to add muscle and the power should come.